The sentences is is … Boston Marathon bomber Dzhokhar Tsarnaev has been sentenced to death. 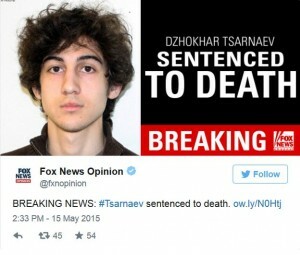 In the end, what else was the jury going to hand down as a punishment for this terrorist who took part in the Boston Marathon in 2013? His goal was to kill as many men women and children as he could. The punishment meets the crime. Dzhokhar Tsarnaev had previously been found guilty on all counts and now came time for his punishment. Despite the best efforts of the defense team and Sister Helen Prejean to convince the jury that Tsarnaev was remorseful of his heinous acts, thankfully the jury did not take the bait. If this was not a death sentence case, what is? The last thing anyone ever needed to hear was that his terrorists punishment was 3 square meals a day, cable TV and demands to have access to pray to Mecca 5 times a day. In the end there was no more appropriate punishment than death. According to accounts, Tsarnaev showed no emotion as he learned his fate and stood with his hands clasped in front of him, his head slightly bowed. He faces death by lethal injection. Personally, I say lets bring back “sparky” for this dirt-bag. Two years after bombs in two backpacks transformed the Boston Marathon from a sunny rite of spring to a smoky battlefield with bodies dismembered, a federal jury on Friday condemned Dzhokhar Tsarnaev to death for his role in the 2013 attack. In a sweeping rejection of the defense case, the jury found that death was the appropriate punishment for six of 17 capital counts — all six related to Mr. Tsarnaev’s planting of a pressure-cooker bomb on Boylston Street, which his lawyers never disputed. Mr. Tsarnaev, 21, stood stone-faced in court, his hands folded in front of him, as the verdict was read, his lawyers standing grimly at his side. Immediate reaction was mostly subdued. 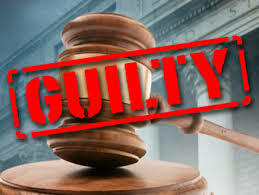 Boston Marathon bomber Dzhokhar Tsarnaev found guilty on all counts … GUILTY, GUILTY, GUILTY, GUILTY, GUILTY, GUILTY, GUILTY, GUILTY, GUILTY, GUILTY, GUILTY, GUILTY, GUILTY, GUILTY, GUILTY, GUILTY, GUILTY, GUILTY, GUILTY, GUILTY, GUILTY, GUILTY, GUILTY, GUILTY, GUILTY, GUILTY, GUILTY, GUILTY, GUILTY, GUILTY. Dzhokhar Tsarnaev has been found guilty on all counts!!! It took the jury of seven women and five men 11½ hours of deliberations to reach their verdict, longer than it takes to run the Boston marathon. The convicted bomber never once looked at the jury as their verdicts were read. In the end, Dzhokhar Tsarnaev is guilty as sin for his crimes committed at the 2013 Boston Marathon and the ensuing acts that took place. As if that was ever in doubt. There was a mountain of evidence and some crimes are just so heinous that it is just a matter of the jury methodically going through the legal paperwork. Dzhokhar Tsarnaev, his face a blank, stood with his head bowed and his hands clasped as the guilty verdicts tolled one after another for what seemed like an eternity: Guilty of using weapons of mass destruction, guilty of bombing a place of public use, guilty of conspiracy and aiding and abetting. Guilty, guilty, guilty: The word was spoken 32 times.Yes, the jury said, Tsarnaev caused the deaths of Krystle Campbell, Martin Richard, Lingzi Lu and Sean Collier. Yes, it was murder. And so, the word “yes” was spoken 63 times, each time making Tsarnaev eligible for the death penalty. From start to finish, it took 26 minutes for the jury to announce its verdict in the Boston Marathon bombing trial: Tsarnaev didn’t skate on a single charge. He now stands guilty of all 30 counts, 17 of which could send him to death row. If hearing the verdicts seemed overwhelming, that paled in comparison to seeing and hearing evidence behind them: awful images and sounds. The jury saw bombs explode and tear people apart. They saw streets splashed crimson with blood and littered with severed limbs and body parts. They heard the cries of the injured, and witnesses told them how people tended to the dying and gravely injured, unaware of their own injuries as they tied belts around the mangled limbs of friends and strangers alike. UPDATE I: After bomber’s conviction, jury to decide life or death. 17 of the 30 counts that Dzhokhar Tsarnaev was found guilty of on Wednesday are punishable by death. The question now becomes should Dzhokhar Tsarnaev rot in prison or rot in hell. Personally, I would choose Hell. During the penalty phase, which could begin as early as Monday, prosecutors will provide evidence of aggravating factors they believe support the death penalty. They’ve already listed several aggravating factors, including the killing of a child and the targeting of the marathon because of the potential for maximum bloodshed. UPDATE II: Tsarnaev relative in Russia says she believes he’s innocent. “When something happens the first thing you have to do is ask ‘who needs this?’ These boys didn’t need this,” she said. “They never saw war, they were little when they arrived in the U.S. and grew up there. “No one in the Tsarnaev family, none of the relatives, ever took part in the military campaigns in Chechnya” in which separatists, some of them radical Islamists, fought two wars against Russian troops, she said. Boston Bombing: Trial of Dzhokhar Tsarnaev Begins Monday With Jury Selection. Today, the trial begins for Dzhokhar Tsarnaev in the case of the Boston Marathon bombing . Jury selection begins as 3000 people have been put on notice as to potential jurors to make up 12 jurors and 6 alternates. The man charged with the terror attack near the finish line of the 2013 Boston Marathon goes on trial Monday in a federal courthouse less than two miles from where two bombs, concealed in backpacks, exploded with devastating force. Despite repeated requests from defense lawyers for a delay or a change of venue away from Boston, a federal appeals court Saturday cleared the way for jury selection to begin. 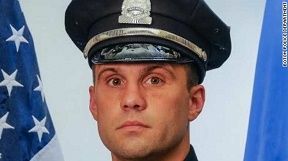 Dzhokhar Tsarnaev, 21, is charged with 30 criminal counts in the April 2013 bombings, which killed three people and injured 260 others, and for in the murder of an MIT campus police officer, Sean Collier, a few days after the bomb attack. Tsarnaev has pleaded not guilty. His older brother, Tamerlan, also accused in the crimes, died in a shootout with police. CNN – Boston bombing trial lawyers fail to reach plea deal. As accused Boston Marathon bomber Dzhokhar Tsarnaev goes on trial Monday few doubt the outcome of the first phase of the two-phase trial. It’s the second, the sentencing phase, including a possible death sentence, that has been the subject of behind the scenes discussions. Federal prosecutors and defense attorneys for Tsarnaev have held talks on a possible plea agreement but failed to reach one, U.S. officials familiar with the talks say. The discussions in recent months have centered on the possibility of Tsarnaev pleading guilty and receiving a life sentence without parole, according to the officials. GUILTY, ONE DOWN … THREE TO GO! Azamat Tazhayakov, a college friend of Boston Marathon bombing suspect Dzhokhar Tsarnaev, was convicted Monday of on charges of obstruction of justice and conspiracy involving impeding the investigation into the Boston Marathon bombing. Tazhayakov is scheduled to be sentenced on October 16. He faces a five-year maximum for conspiracy and 20-year maximum for obstruction. Dias Kadyrbayev faces a separate trial in September. A third friend, Robel Phillipos, is charged with lying to investigators. 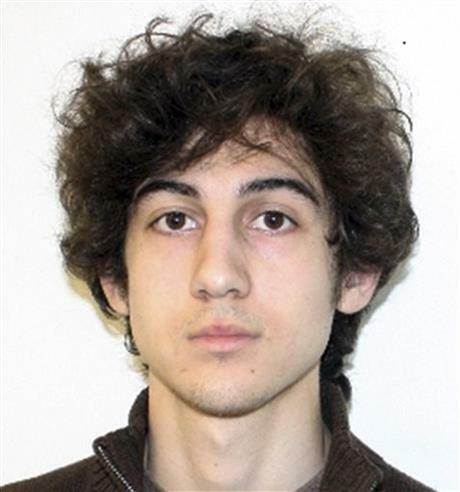 Dzhokhar Tsarnaev has pleaded not guilty in the bombing and multiple murders is scheduled to stand trial in November. Dzhokhar faces the possibility of the death penalty if convicted. Azamat Tazhayakov was charged with obstruction of justice and conspiracy, with prosecutors saying he agreed with a friend’s plan to remove Tsarnaev’s backpack containing altered fireworks from his dorm room a few days after the 2013 bombing. His trial was the first stemming from the bombing, which killed three and injured more than 260 near the marathon’s finish line. Tazhayakov’s mother sobbed loudly and rocked in her seat as the jury announced the guilty verdicts, which it reached on the third day of deliberations. Tazhayakov’s lawyers argued that it was the other friend, Dias Kadyrbayev, who removed the items from the University of Massachusetts-Dartmouth dorm room and then threw them away. Prosecutors told the jury that both men shared in the decision to remove the items and get rid of them to protect Tsarnaev. Kadyrbayev faces a separate trial in September. A third friend, Robel Phillipos, is charged with lying to investigators. Friend convicted of impeding Boston Marathon probe. A college friend was convicted Monday of trying to protect Boston Marathon bombing suspect Dzhokhar Tsarnaev by agreeing with another friend to get rid of a backpack and disabled fireworks they took from his dorm room three days after the attack. Azamat Tazhayakov, a baby-faced 20-year-old, put his hands over his face and shook his head as guilty verdicts were read on federal charges of obstruction of justice and conspiracy in the first trial stemming from the twin bombings, which killed three and injured more than 260 near the marathon’s finish line in April 2013. His mother sobbed loudly and rocked in her seat.